So just when I am thinking of what kind of supplement I can take to improve my health, I am introduced to Ostania® . Ostania ® Mangosteen Amrita is a mangosteen beverage bursting with superfood powers. It has been tested and validated by the National University of Singapore, that it contains a very high level of antioxidants (ORAC* score of 14186) along with all the benefits it boasts. We are blessed that Malaysia is one of the few places that mangosteens thrive. “Mangosteens are our speciality. By being in control of the source (we have several plantations in Malaysia), we are confident of the quality and proud to be able to share this export grade product with our fellow Malaysians,” says Kelvin Soo, Lab Manager at Furley Bioextracts, a BioNexus accredited biotechnology and agrotechnology company. Furley Bioextracts oversees and manages the process from seedling to the final bottled product, ensuring every ounce of goodness is abundant in each recyclable aluminium bottle of Ostania® Mangosteen Amrita. And I like the tamper proof plastic cap...for safety and health purposes.. Most people love mangosteens, and who wouldn’t? I know I do... I am one of the weird Malaysians who do not know how to appreciate some of our local fruits such as langsat, duku, rambutan or pulasan, but I love mangosteen!!! The white flesh is sweet and succulent, but well, do you know, we often discard the most valuable part of the fruit - the purply skin. The deep, rich purple mangosteen skin is where all the goodness lies - packed with Xanthones, Anthocyanins and Polyphenols - potent antioxidants that have been proven scientifically to be beneficial for us. 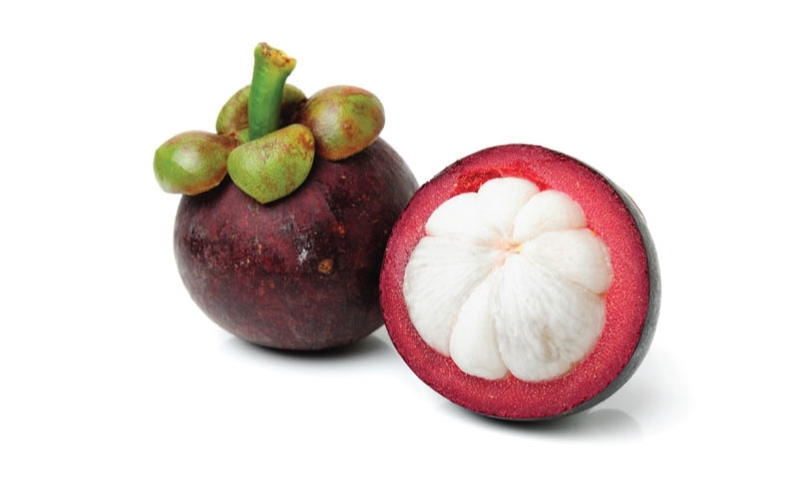 Ostania® Mangosteen Amrita contains the whole mangosteen fruit (including the skin) and is combined with apple, roselle, acai berry, grape and pomegranate; adding yet another beneficial phytonutrient profile of Oligometric Proanthocyanidins (OPC), Resveratrol and Flavonoids. With no added sugars or colouring, it is truly one incredibly potent antioxidant beverage that tastes amazing, making it a perfect health supplement for the whole family. You really should try it out as the Ostania® Mangosteen Amrita is not only really yummy, but also has its multitude of benefits. That said, this beverage is especially useful for the physically active, individuals seeking a vitality booster to fight ageing, people who want better digestion and cancer patients. Wow, It made from Mangosteens. Our Malaysia queen of fruits. Thanks for your discount code too. mangosteens? you must be kidding me! i love it~ i'd like to try it! the best is, it affordable! by the way, try essential oil, maybe can helo your mom feel better， study a bit Aromatherapy. Get well soon!